...in the orchard on dwarf root stock. A range of traditional varieties: Ribstone Pippin, Laxton, Peasgood. Egremont Russet, Howgate wonder, Chivers Delight, Ellisons Orange, Sunset, Newton Wonder. In 2017 the Sunset had the heaviest crop. 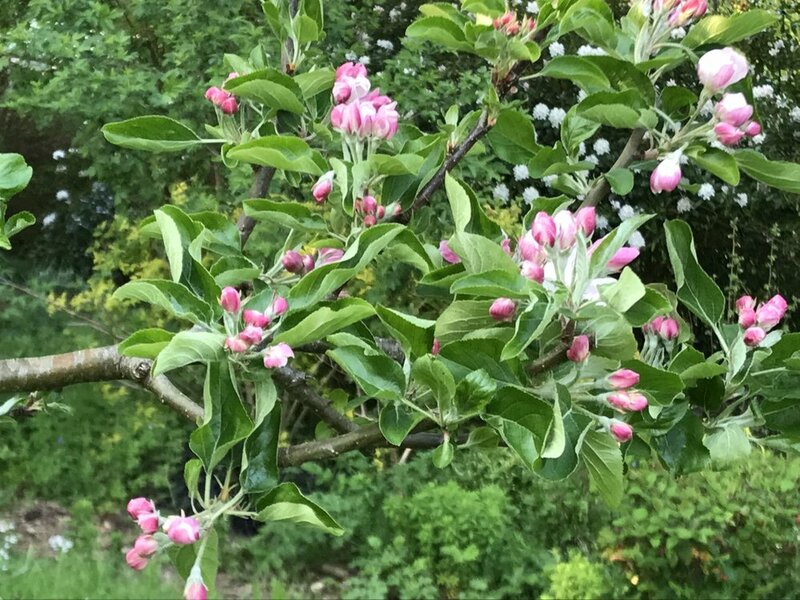 There are also three older trees where the varieties are unknown. 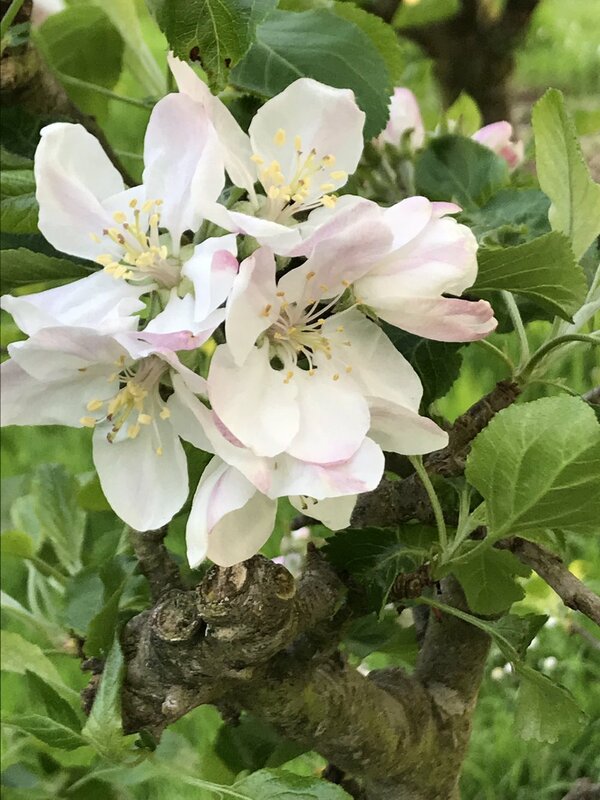 In 2018 the spring seemed particularly late thanks to the heavy March snow, but at last in early May we had some apple blossom. Next to the orchard, several intriguing paths lead through the shrubbery, and there are a few sets of granite steps that had become overgrown but we uncovered when we first moved in. One path has been adopted by the resident badgers, who seem determined to use it as their latrine. There is an impressive array of rhododendrons, magnolias and camellias which blossom throughout March, April and May and which we look forward to discovering more about next spring. 10/5/2018 Now that spring is here the shrubbery is indeed full of the magnificent blooms of rhododendrons and magnolias.